That popping sound you hear from Wall Street isn't the latest bubble bursting. It's champagne corks. That's because the Federal Reserve may be coming to the rescue of big banks. The Fed strongly indicated in the minutes of its last meeting that an interest rate hike is possible next month. That surprised many investors, who had been expecting that the Fed would wait until after the presidential election to make another move. Interest rates have been abnormally low (near zero, in fact) since the financial crisis in 2008. The Fed finally hiked rates by a tiny bit last December but has held steady since. Low rates may be good for consumers using credit cards and looking to buy a home. But they are the enemy of giant banks since it makes it harder for them to profit on the loans they make. So any indication that rates may finally be back on the path to something remotely resembling normal is good news for companies like JPMorgan Chase (JPM), Citigroup (C) and Bank of America (BAC). Unsurprisingly, shares of these three -- as well as Goldman Sachs (GS), Wells Fargo (WFC) and Morgan Stanley (MS) -- all rallied sharply after the Fed minutes were released Wednesday afternoon. But these stocks are all still down year-to-date while the broader market remains up slightly. So is the worst over for the big banks? Not everyone is convinced. "We continue to believe there is little to no chance of a rate hike in June," said Brett F. Ewing, chief market strategist for First Franklin Financial Services, in a report. There are still many uncertainties around the globe that could keep the Fed on the sidelines for longer. "If the Fed tightens too fast this year -- if it gets ahead of the recovery -- the dollar will start rising again and further constrict the global economy. This will be bad news for the U.S. economy," said David Beckworth, a professor at Western Kentucky University and scholar at the Mercatus Center of George Mason University. The recent spike in oil prices could hurt consumer spending. China is still a major wild card. And then there's next month's vote by the United Kingdom about whether it will remain in the European Union -- the so-called Brexit referendum. Ewing said that investors may be paying too much attention to the Fed minutes -- and are overanalyzing every pronouncement from the Fed in general. 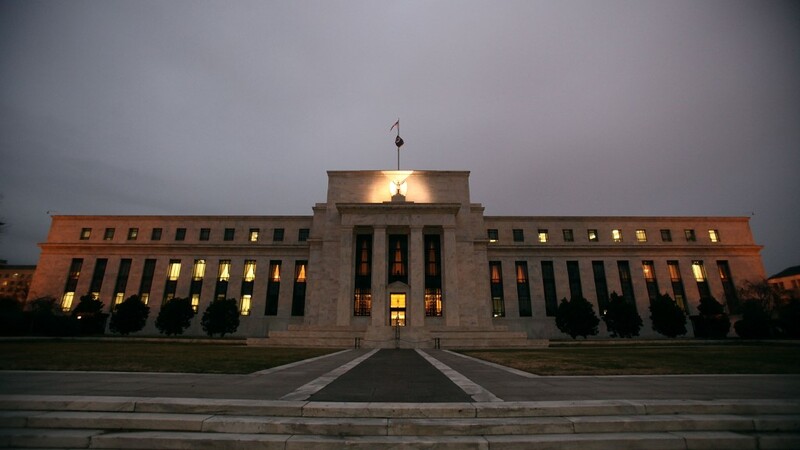 "The increased transparency the Fed has tried to employ recently has actually been a huge negative," Ewing wrote. "When every word is being hyper-interpreted by different minds, it continues to cause financial markets to be extremely volatile." With this in mind, Ewing is recommending mortgage real estate investment trusts New Residential Investment Corp. (NRZ) and American Capital Mortgage Investment Corp (MTGE). So fears of a sudden spike in rates may be overblown. And as long as rates remain relatively low, mortgage companies should benefit. But investors in big banks and savers hoping to finally get higher rates on their deposits? That's a different story.